I read an article yesterday saying Pacific Rim has only made 68 million dollars domestically. It’s doing better internationally, but still has an uphill battle to recoup its 200 million dollar budget. Considering that a movie generally has to make three times its budget to be considered successful in Hollywood, it has quite a way to go. Eli froze in place when he heard the train car explode behind him. He scrambled over one of the benches lining the car and looked out a window. Flames and splintered wood filled the sky. Where were Hester and Violet? He had lost sight of them shortly after the track buckled and began to collapse. It had since stopped. Eli wondered if he should go back and find them. The sound of propellers whipping through the air outside put that notion away from his mind. 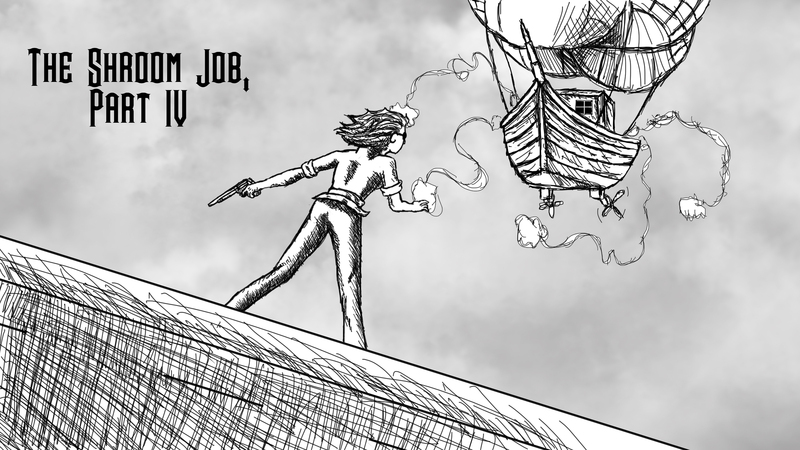 He looked up and saw one of the pirate airships speeding by, toward the rear of the train, toward the cargo car. Eli knew he had to get there first. Woodhollow Tales is a short novel I started writing in the summer of 2001. It was originally intended to be fictionalized account of the events of my first summer out of high school, and my last summer before joining the military and starting the rest of my life, a concept I was still too young to completely understand. The course of human events completely derailed what the story was going to be about…everything that had happened that summer didn’t seem to matter anymore. Sometimes I wondered if it happened at all. I put the story away and forgot about it. WOOL, the debut novel by Hugh Howey, has a pretty interesting back story. It was first self-published as a series of short novels by Howey, and later picked up by a publisher and collected into the WOOL Omnibus. It is the story of a world so ravaged by a poisonous atmosphere that humanity has been relegated to living in a structure known as the Silo, a bunker that reaches 140 stories underground. Their only knowledge of the outside world comes in the form of images shown on screens transmitted by cameras lining the outside of the silo. These cameras are constantly under threat of being covered by grime, and need to be cleaned often. Cleaning, however, is a death sentence, and a job delegated to those to break the Silo’s laws, the most heinous of which is expressing a desire to leave and go outside. Hello, all! This was a project I made for school about a year and a half ago, and it was my first real experience using Keylight in After Effects. We had to come up with a theme, build a matte painting around that theme, and composite ourselves into the scene. I had been kicking around the idea of doing something in the steampunk sub-genre for a while, and came up with this. This video was also the genesis for ‘Blackwood Empire’, and the character that would eventually become the disgraced Admiral Roderick Beauchamp La Pierre. My initial idea was to do something like a kid’s show, complete with catchy songs to earn the eternal ire of parents everywhere, but I have absolutely no idea how to write for children, especially when the protagonist is a drunken pirate, and I don’t have a musical bone in my body, so that was out. So now I’m aiming squarely for that golden PG-13 spot occupied by such pulpy adventure movies like Indiana Jones, The Mummy, and Pirates of the Caribbean. 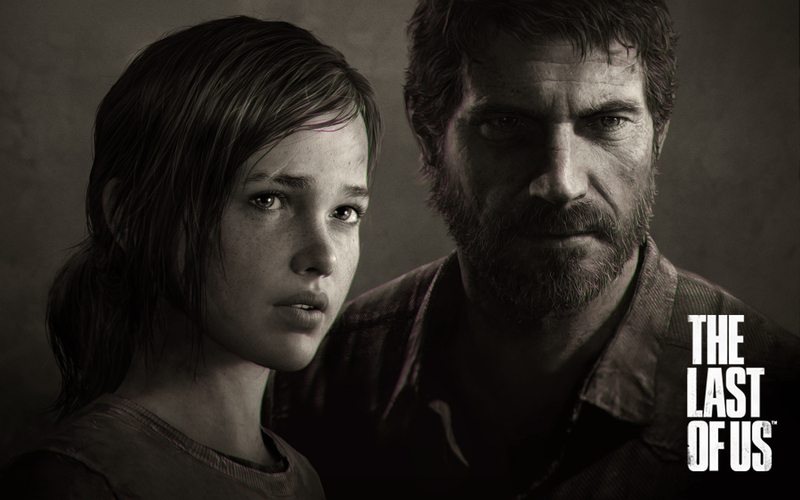 The past seven years have seen a rather stark evolution in videogames, and how they are used to tell a story. For the first time, developers have had the technology available to them to bring game characters, and the worlds they inhabit to life. More than technology, however, are the stories developers have chosen to tell.